Market Research Can It Increase Profits - Increased sales for less cost is fast becoming a business mantra. For any company it is critical to understand precisely why people buy into what you have to offer. In this competitive marketplace research budgets are often first to go in an attempt to save money. Yet some types of research have been proven to dramatically increase profits. Market research is the systematic gathering and interpretation of intelligence using analytical methods and techniques to gain insight or support decision making. It is really any structured attempt to gain knowledge about competitors, markets or customers. Yet, the term is commonly, and wrongly, interchanged with the practice of Marketing Research yet, there is an important and distinct difference between the two. Marketing research is the objective gathering and interpretation of intelligence using analytical methods and techniques to gain insight and intelligence about audience purchase habits. Can you appreciate the distinction ? - One gathers knowledge on potential markets, the other gathers intelligence on why they purchase and who from. The main purpose of this type of research is to understand the purchase triggers of the audience. In short it is the science of understanding how and why customers and potential customers react, or not, to your advertising communications. When done correctly will tell you precisely how to push the buttons that will compel more people respond to your message or proposition. And it will give you that information simply, quickly and cost effectively. Perhaps that is why, an increasing number of companies are moving away from the 'soft' intelligence provided by market research and are moving towards the 'hard' information provided by marketing research. In this context, knowledge is generally defined as 'hard' when it provides specific, detailed and quantifiable direction for future marketing campaigns. The fact that it is measurable and can directly influence bottom line profitability has caused this sort of research to be called "research for a new business age" by professionals and that "traditional strategies could produce outcomes that are interesting - but who nowadays has the period and budgets unless there is a quantifiable purpose and payback?" Whilst some organisations lay claim to offer bespoke solutions, in truth, some are simply variations of their everyday research offering. These rarely provide information that could be used to direct and evaluate marketing campaigns. Be cautious, if your research company suggest focus groups as part of a project as that is usually an indication that they have just adapted their usual offering to fit. Modern techniques use research methodologies that are adapted from behavioural psychology to gain insights into your situation that are instantly actionable, useful and designed to repay your investment in better results. So which type of research is best for you? If you feel you have an understanding of who your audience are; their demographics, how old they are, how much disposable income they have, their lifestyle, etc, then you may not need to spend money on market research. 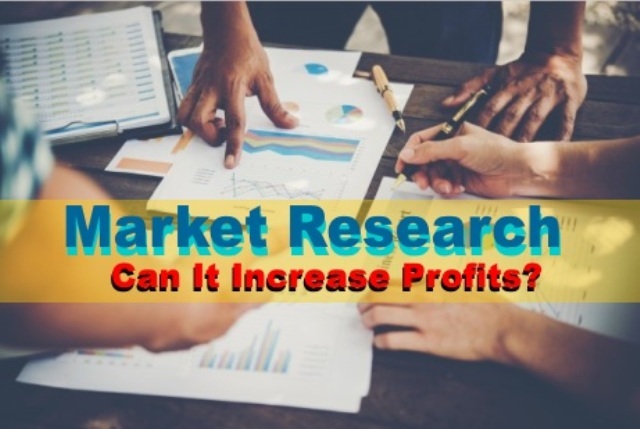 Yet if you need your advertising and marketing to increase inquiries and sales then you are more likely to find marketing research more worthwhile. Whichever route you decide to take, ensure that you act upon the intelligence you receive as, in these difficult times, it could make or break your company. 0 Response to "Market Research Can It Increase Profits?"